I’ve made a number of performances, installations and other works for the art world. It’s been presented at pretty prestigious art spots such as Transmediale, Ars Electronica, Bonniers Konsthall, LABoral, and Piksel. Some of the projects dive into unexplored potentials of “old” technologies, like teletext and fax machines. These are very real material explorations. Other projects are quite unreal and virtual, even if they don’t seem to be. Robots that play music and stuff. A project with Jacob Remin. 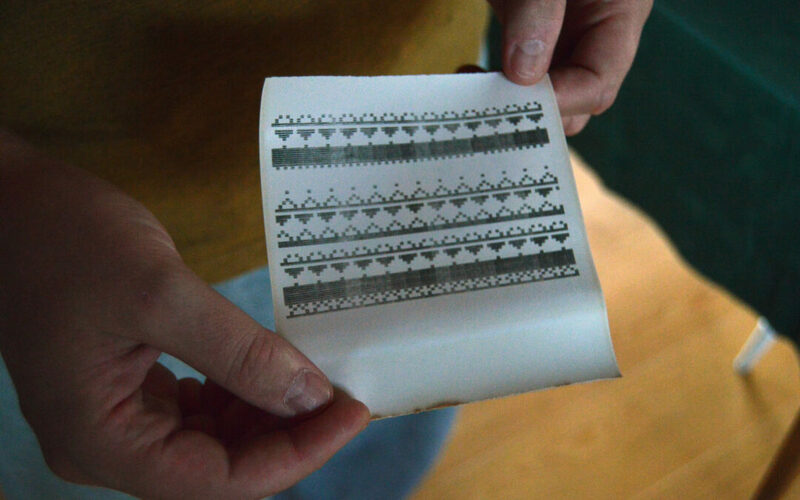 Painting graffiti with ASCII stencils. Performances where the audience takes control of the artist. A music software on teletext? 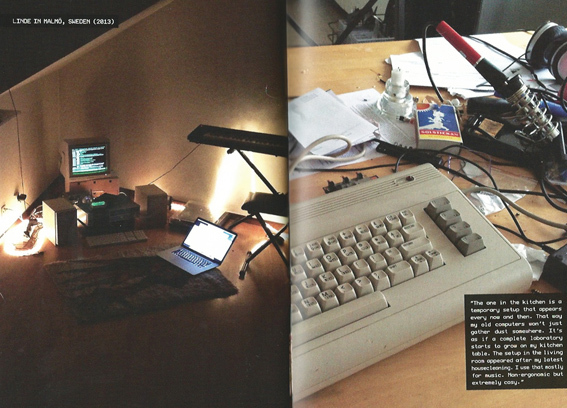 Quite simply, a photobook of computer rooms. Album released in a hole in the wall of MOMI. 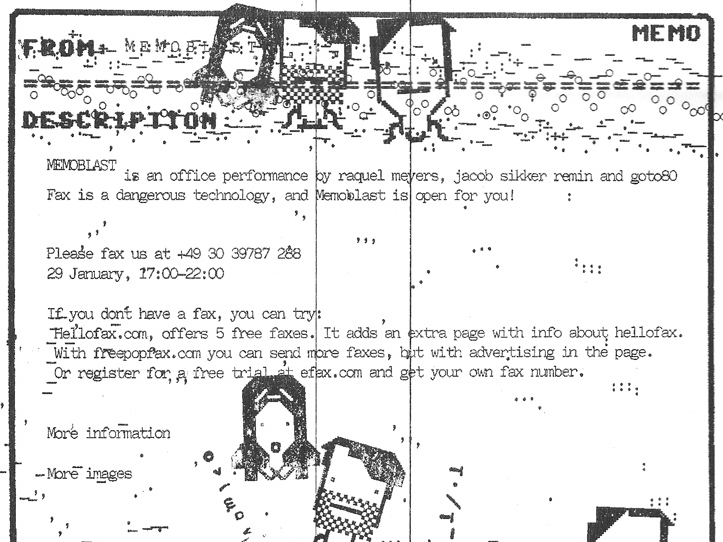 Networked fax performances in the office. A PETSCII-musical with the Uwe Schenk Band. █ Spaceblanket exhibition in Hong Kong (2019) w/ PET.CORP. Showing Shirbum, robot music, and more. █ Korridoren (2018) w/ Björn Bengtsson. “Getter, VR och uppslukande landskap”. █ Robot Music (2017-) w/ Jacob Remin. 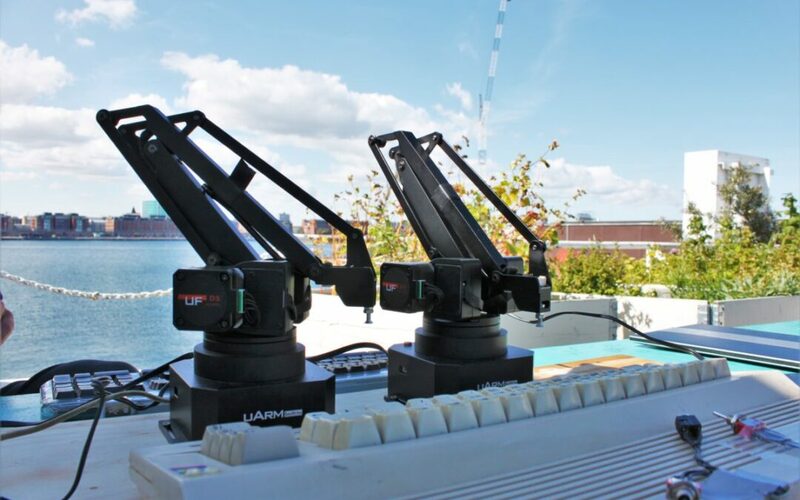 Robots making music. █ Seafax (2016). Teletext art exhibition. █ Dataslav (2015). Performance at ANTIHUMANISM. █ Custom8 (2014-). Online thing to sell work instead of music. █ ASCII Graffiti (2014-). 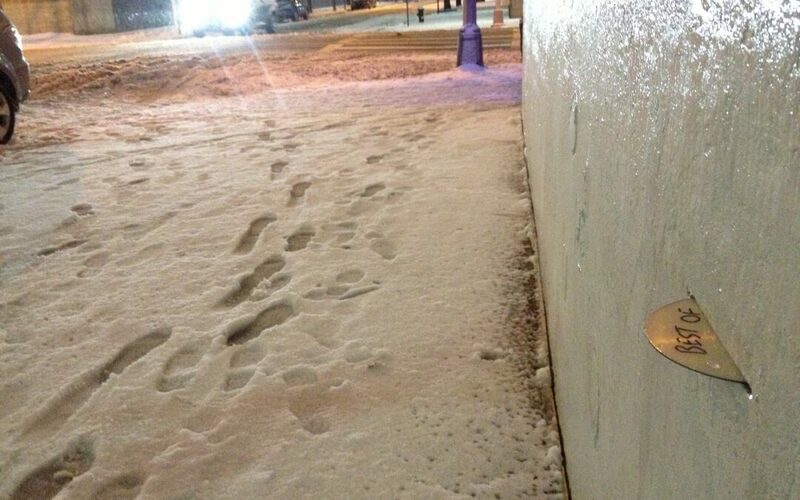 Spraying ASCII graffiti. █ Linkan (2014). Installation/performance about the materiality of a song. █ l0v3 byt3s (2014). Celebrating Vuk Cosic by converting pr0n to PETSCII. With Raquel Meyers. █ Yeti Sound Machine (2013). Audiovisual performance for kids, with Raquel Meyers. █ Computer Rooms (2013). Photo book commissioned by Click Festival. █ Datagården (2013). 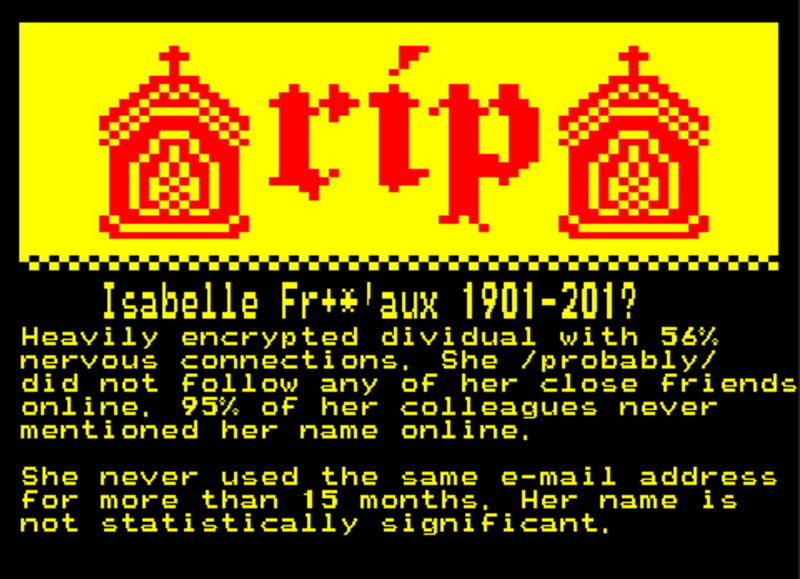 Semi-ficitional teletext graveyard for Bonniers Konsthall. █ * (2013). Music released in a hole in the wall of MOMI New York, as part of DVD Dead Drop. █ Memoblast (2013). Fax performance with Jacob Sikker Remin and Raquel Meyers. █ Mind the Volcano (2013). 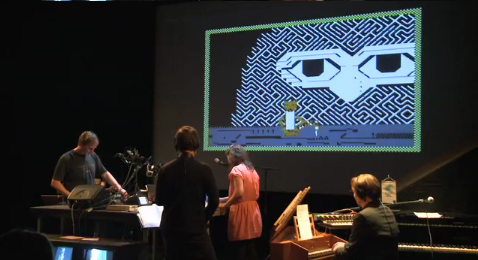 Live performance with PETSCII and teletext visuals by Raquel Meyers. █ Remote Control Music Studio (2013). Video of a teletext music software. █ Dataslav (2013). Turning the music artist into the worker. 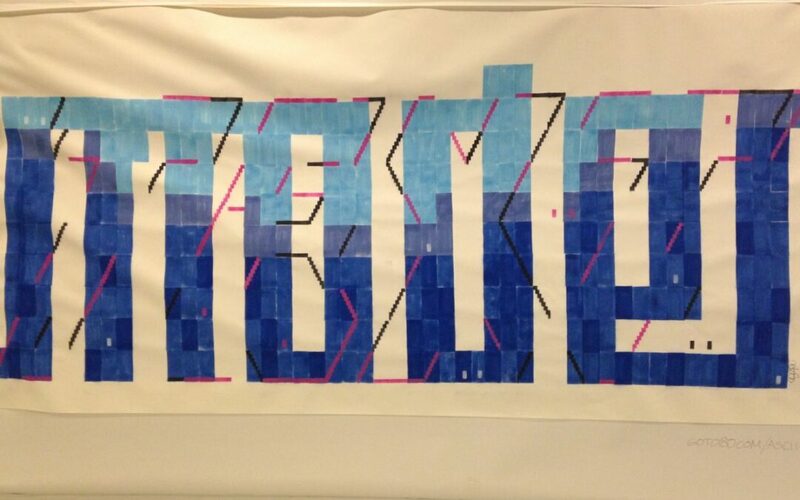 █ TEXT-MODE (2012). Blog about text graphics curated with Raquel Meyers. 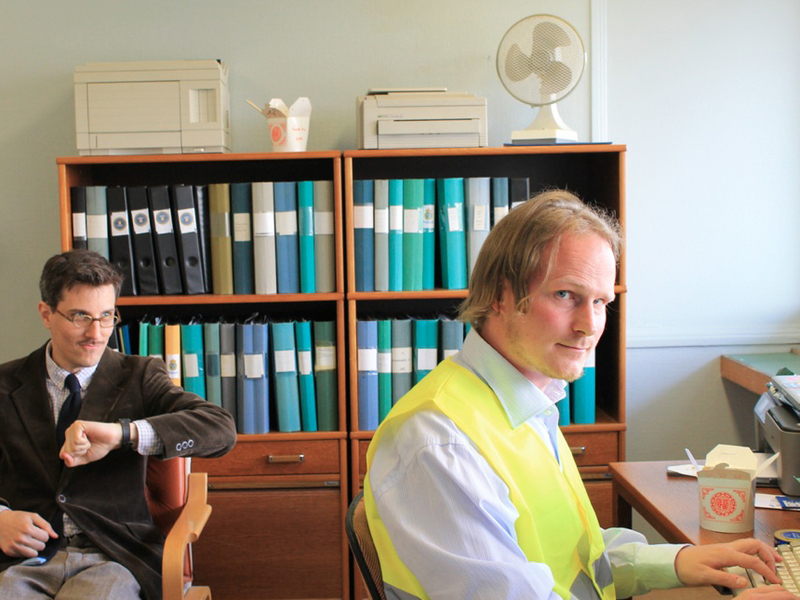 █ Fax & Frankering For Folket (2011). Fax performance with Raquel Meyers and Jacob Sikker Remin. █ 2SLEEP1 (2011). Text mode audiovisuals for sleeping, with Raquel Meyers. █ Datajam 2 (2010) A/V performance with C64’s, etc. With Frantic, Jucke, Dino. Performed at Hacknights #2 (se). █ Polybius (2009) A/V performances with Raquel Meyers. █ Gotozilla (2009) Live soundtrack to the movie Son of Godzilla from 1967. Performed at Sensurround (se). █ MINIMUM DATA >> MAXIMUM CONTENT (2009) Selection of audiovisuals, extremely small in filesize for Cimatics (be). 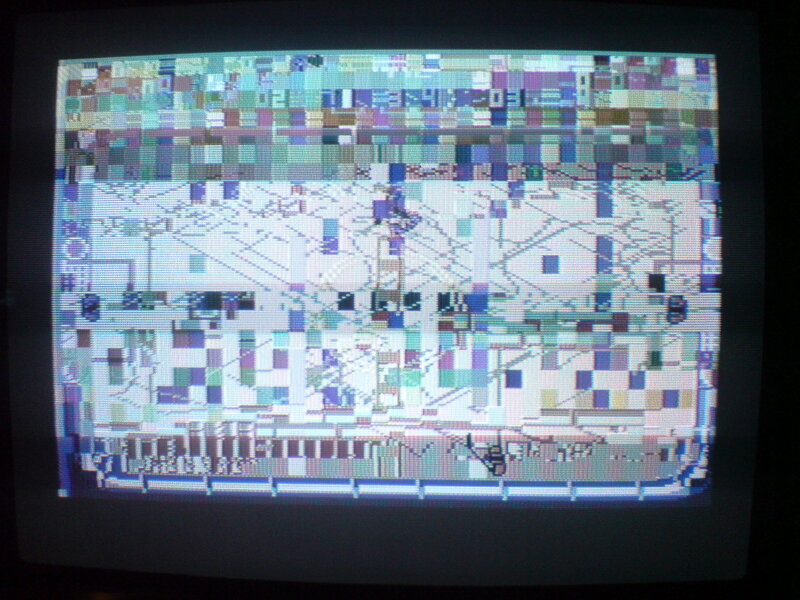 █ HT Gold (2008) Ultra-glitched C64 game made together with Autoboy. █ Artist in residence (2007) with Entter at La Gare de Coustellet (fr) including conferences, workshops, and performances.